This coming Tuesday, January 19th, the Wisconsin State Senate is scheduled to consider and vote on Senate Bill 43, bipartisan campaign finance reform legislation requiring disclosure of the donors and regulation of the money utilized by outside special interest groups and individuals that run widely-disseminated campaign communications masquerading as issue advocacy during the period of 60 days or less prior to an election. After consideration by the State Senate, the Assembly should consider and pass the measure shortly thereafter and Governor Jim Doyle, who has repeatedly said he supports this measure, should sign it into law. Common Cause in Wisconsin (CC/WI), the first state reform organization to recognize the critical importance of this reform, first proposed a version of this measure back in 1997 -- and has been a leader in the effort to get it enacted into law ever since. Enactment into law of this major campaign finance reform measure would close the single largest loophole in Wisconsin's loophole-ridden campaign finance laws. And it is absolutely necessary to counter the numerous cancerous and anonymous campaign communications that have undermined legislative, gubernatorial and other statewide elections and, more recently and alarmingly, Wisconsin State Supreme Court elections. The recently enacted Impartial Justice Law, which provides full public financing for qualified state supreme court candidates who agree to abide by spending limits totalling $400,000, will be effective only with Senate Bill 43 as law. The votes in the State Senate for SB43, which has strong bipartisan support, ought to be there -- but Senators need to hear from the citizens of Wisconsin telling them to vote for this critical reform measure. 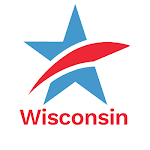 To contact your Wisconsin State Senator, go here; to find out who your Wisconsin State Senator is, go here. To learn more about Senate Bill 43, read CC/Wisconsin's testimony last year on the measure by going here. Please contact your State Senator before next Tuesday and strongly urge that they vote for Senate Bill 43! Next Wednesday, the day after the vote on Senate Bill 43 in the State Senate, the United States Supreme Court may finally issue its long-awaited decision in a landmark case involving the constitutionality of forcing the disclosure and regulation of these phony issue ads in federal elections: Citizens United v. Federal Election Commission. The nations's highest court's decision will provide more definitive guidance about what Wisconsin can and cannot do with regard to these phony issue ads -- ads that have been a cancer on our statewide and legislative elections since 1996 and which dominated the 2007 and 2008 Wisconsin Supreme Court elections. But the State Senate is doing the right thing by considering and passing Senate Bill 43 and sending it on to the Assembly and the Governor to set the stage for the inevitable legal challenge from those guardians of the corrupt status quo who hate any and all campaign finance reform. Wisconsin State Senate to Vote Next Tuesday on Reform Legislation Requiring the Disclosure and Regulation of Phony Issue AdsTweet this!